You’re Spiffier Than A Pair Of Novelty Socks With Ponies On Them Award. A sentence at a time. Since I don’t have the YSTAPONSWPOTA badge available to my readers, and the title probably needs a smidge of editing, I suppose I’ll have to pass along these great awards instead! Feel free to snag a badge or three and thank you so much for stopping by! Thank you, Joleene Naylor, for the Creative Blogger Award. 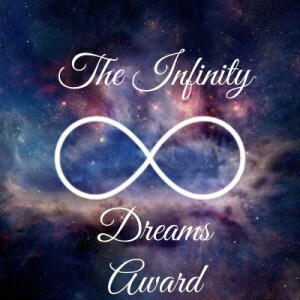 Thank you, Fun Simplicity for The Infinity Dreams Award and the VERY special Wonderful Friend Badge. Previous postA Broken Laptop Haiku? You are too funny. Yes, it is nice to be appreciated but the whole award thing really does get to be tedious. LOL! Sounds like a fun award! !